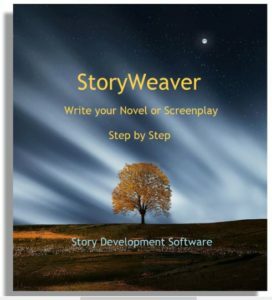 Do You Write Like An Actor or a Director? Here are two ways to approach the craft of writing. The first is to step into the role of each character and write it very personally, as if you were an actor portraying a part. The second is to consider what each character must do to fulfill its purpose in the story, then orchestrate their interactions as if you were directing a movie or stage play. Each of these methods has its own advantages and disadvantages. On the plus side, the Writer-Actor exudes passion. His or her characters are alive with a personal perspective with which the reader or audience can instantly and deeply identify. Each character is seen through the eyes of all the others, so the reader/audience feels as if they come to know the characters, not just as players in the Big Picture, but as real people who not only love and hate, but are loved and hated as well. This creates a rich emotional fabric to a story. But the benefits of being a Writer-Actor don’t stop there. Indeed, even the narrative itself benefits from this approach. Small experiences and individual observations illuminate the environments through which the characters pass. A Writer-Actor’s narrative is likely to be filled with sensory descriptions as to the temperature, background sounds, colors, textures, tastes, and smells that are present in each scene. In this way, not only do the characters feel real, but so does the world in which they move. But what about the downside of such a personal approach? The greatest danger of allowing oneself to actually become a character while writing is that one loses site of the needs and structure of the overall story. Characters tend to take on a life of their own and almost demand that they move in certain directions, even if those are in conflict with the purposes of the story at large. In addition, the benefits of some unifying overview are often lost in the cacophony of individual voices. Having briefly explored the pros and cons of the Writer-Actor approach, let’s examine some of the benefits and drawbacks of the Writer-Director’s method. In the plus column, the Writer-Director produces a vision. The characters take on a grand importance as pawns in a larger scheme, a greater meaning. Each character is seen as a cog in an elegant machine, inexorably moving forward like clockwork toward a specific purpose which will ultimately be revealed. The natures of their interrelationships are discovered and defined as understandable threads in the tapestry of the tale. In addition, characters are tied directly to plot, theme, and genre, integrating them into the story as a whole, illustrating their interdependence with the forces that shape their world and, by inference, ours as well. But in the negative column, a Writer-Director tends to objectify characters, leading them to come across more as puppets than people. All the beats of character growth are precisely hit, yet the overall flow can feel forced and formulaic. What’s more, the stage on which the characters strut can seem more Machiavellian than organic, and the story plods along in some sort of Calvinistic pre-destination rather than an unknown realm in which anything might happen. If you have begun to think that perhaps neither of these approaches, by itself, is sufficient to the task of creating a passionate story that leads to a well-defined message, you are correct. And that is the point of this exercise. By nature each of us tends to be one of these two kinds of writers. As a result, we excel in half of what readers/audiences are craving, yet fall short in the other side of their needs. The solution, of course, is to learn to employ tools in the areas in which we do not have natural ability or inclination. That is, in fact, the concept behind learning the craft of writing. We study and exercise not to make ourselves more talented, but to supplement our effectiveness in those areas in which we are not as innately gifted. So, the first step of the task at hand is to identify which kind of writer you are. The second step is to practice writing with the other method as well. 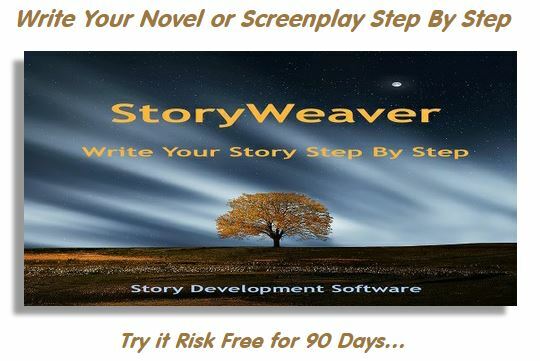 To this end it is pretty easy to determine whether you are a Writer-Actor or a Writer-Director. Just sit down to create a character from scratch. Pick a name, a gender, and age, and a job or vocation. Then try each of the following. Based only on that limited information about that character try to put yourself in the character’s shoes. Imagine you are them, they are you. Then see if you can come up with a problem in their lives, a description of how it affects them and what they are thinking of doing about it. Who are the other people in their lives, and how are they affected at a personal and/or emotional level by the problem and by the potential solutions? If you found that exercise easy, perhaps even fun, then you are a Writer-Actor by nature. If you found it tedious, uninspiring, and fruitless, you’re a Writer-Director. To be sure, try the other method: Start with the same bare-bones information about the character. Ask yourself, who are the other characters with whom this person would be interacting. What kinds of conflicts might occur among them. What kinds of problems would result from this conflict, and what would it lead your character to do? If this was the easier one, then you are a Writer-Director without doubt. You see, both approaches are trying to get to the same place, but they come to it from a different creative mind set. And in so doing, they miss different things along the way. The remedy is obvious. To enhance your abilities as a writer, you need to be fluent in both approaches, using them in a complementary fashion to fully ignite the fires of passion within a solid logistic framework. And even if you have a great built-in sense of one or both of these, it can only help to fine tune them so that your story development and storytelling become even more powerful. Here are two plans to help you find both. Well call this strategy, “Hats and Charts”. A surprising number of authors actually wear different hats while writing different characters. I’m not speaking metaphorically here, they actually wear physical hats. This helps them imagine themselves as a given character, such as a cop or a chef. Not surprisingly, the extension of this is to wear costumes – the clothing you expect your character might brandish. It can be as simple as a scarf, the way you comb your hair, your make-up, perfume or cologne, or all the way to a full wardrobe. It is really not as silly as it sounds. Do you not feel differently depending upon the kind of clothing you wear on a given day? Does not a uniform influence the way a person thinks? It is not any less true that a writer’s work will very depending upon what he or she is wearing while creating. Try music that a character might play, put on a television show or movie your character might watch. Tack pictures your character might have in their home to a cork board in your line of sight as you write. Perhaps add pictures that seem like the realm in which they move – a desert island, a ship, the dark dungeons below the Vatican. All of these ideas grow from the “Hats” concept. You can and should give some time to thinking about other similar ways of making yourself feel like your character feels. To become a better Writer-Director, you need a completely different plan – “Charts”. The idea here is to objectify your characters – to see them as components in the store, elements with which you will build the tale. You can begin my making a chart of each character and listing as many details about them as you can. For example, where did each character go to school? What hobbies does each have? What are their religious affiliations, if any? To what political party do they belong? How strongly do they subscribe to the philosophies in these groups? What are their physical abilities/disabilities? What are their hair colors, skin texture, skin color, weight? Create a time-line graph for each characters’ emotional journey through the story. Use different colors for different moods or feelings and plot the intensity of those emotions. By examining these passions analytically, it helps you see patterns and uncover skipped or missed beats in the flow. Using index cards and colored yarn show all the relationships among your characters including familial, professional, historical, philosophical, and so on. Try writing a description of each character as if you were a private detective hired to follow them for a day. You have no personal interest in the character, but your job is to document everything they do (and even how they act) in as much detail as possible. Each of these exercises helps you step out of a character’s shoes and see them in a functional manner, both as themselves and also how they interact with others. As you have no doubt surmised, the perspectives of the Writer-Actor and Writer-Director are so divergent that it is virtually impossible to do both at the same time. In the writing process, therefore, you should use them in succession. Begin with the approach to which you are naturally inclined for this will provide you with the greatest raw inspiration. When you have finished a section or your Muse comes up for air, use the opportunity (which would otherwise be wasted down-time) to apply the exercises from your secondary approach to the material you have just written. By revisiting the material while it is still fresh in your creative spirit, but from an alternate point of view, you can reprocess the material and fill in the gaps left by your initial creative burst. Once you have finished the complete story, go back and run it through both approaches again to ensure that not only do the individual scenes sing like a Spring bird, but that the entire work unfolds smoothly, like the passage of a fine season. In the end, if you take the time to learn, practice and employ both methods of developing characters, your stories will be far more well rounded and well received.